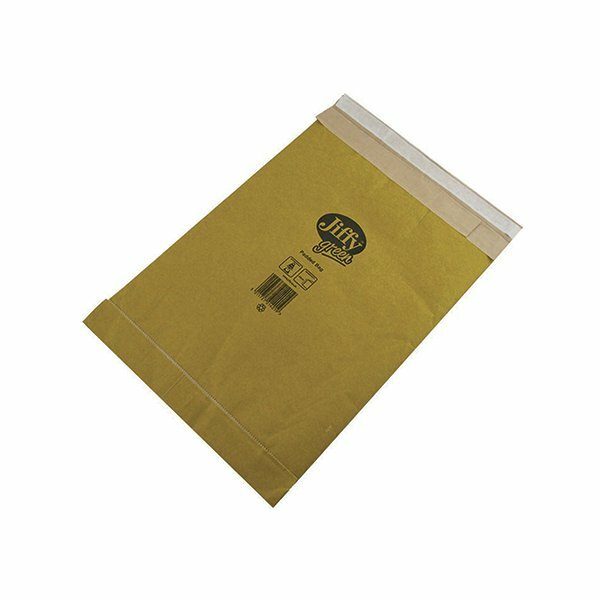 These durable, lightweight Jiffy padded bags feature tough, puncture resistant outer paper with a 100% recycled paper fibre lining. The bags have a doubled glued bottom flap and no side seams for extra protection in transit and are also 100% recyclable. These size 7 mailers measure 341 x 483mm. This pack contains 10 gold mailers with a self-seal closure.